Forever 21 is a fast fashion retailer based in Los Angeles, California. They manufacture and immediately release designs based on the current trends captured in the annual spring and autumn fashion week. Forever 21 retails trendy clothing fit for all ages at a low-price. Originally branded as Fashion 21, the first storefront was founded on April 21, 1984 in Los Angeles, California by a South Korean couple, Do Won Chang and Jin Sook Chang. Forever 21 started with the Korean American community in Los Angeles as their target market. Currently, Forever 21 have a total of more than 700 stores (with 500 stores in the United States) and 30,000 employees in every continent. They have reported $4 billion in revenue for 2016. Employees get 10% discount from purchases they make in Forever 21. The company offers health and vision insurance and employees rate it as having an affordable rate with a renowned insurance provider. People enjoy working for Forever 21 because of the good working relationships they enjoy in the stores. Store employees have also indicated that their branch managers are pleasing individuals and their store hours are quite flexible. Moreover, most find their salaries fair in relation to their hours and the fashion retail industry. Forever 21 require their store associates to be at least 18 years of age. As for supervisorial and managerial positions, they do not indicate any specific age requirements but they do have a required number of work related experience ranging from three to five years. Store Associate: Store associates are responsible for assisting customers with product selection, location, pricing, sales, and returns. They set-up in-store displays, stock shelves, cashier, and open and close the store. This position requires the capability of lifting loads up to 50 lbs. and frequent standing, walking, and other body movements. Stock Associate: The Stock Associate receives and stocks merchandise in the store’s stock room and onto its shelves. They stock, organize, and create the environment required by the company in both the store stock room and sales floors. They execute the required emergency and downtime operating procedures as needed. Also, they generate statements to minimize loss incurred from delivery and/or shipment. Stylist: The Stylist provides customer service through, with the knowledge in fashion, product and merchandise recommendations. They create compelling styling presentations in the store, participate in floor updates and product launches, and establish relationships with important cross-functional business partners (Coordinators, Store Design, Marketing, and Corporate Visual). Lead of Service: The Lead of Service ensures the day-to-day operational functions of the store. They make sure customer service experience, cash management, product pricing, markdown compliance, and signage are in accordance with company policy and instructions. The Lead of Service is expected to drive store sales and productivity by product promotion and excellent customer shopping experience. Visual Merchandiser: The Visual Merchandise is part of the store operations and oversees the processing, styling, and placement of store merchandise to ensure aesthetic standards and guidelines of the company are met. They also assist in generating field merchandise reports and adjust product placements according to merchandise sales. Assistant Merchandising Manager: The Assistant Merchandising Manager leads and directs the store’s merchandising team. By creating and using their long-term strategies and the company’s initiatives, they oversee day-to-day merchandising; floor set planning and execution, product replenishment and launching, shipment, loss prevention, zero selling reports, and customer service. Visual Manager: The Visual Manager is part of the store operations and, with the District Visual Manager, leads and directs the store merchandising team. They develop the store’s floor set plan and create direction for the store’s team in its implementation. They oversee execution, installation, and styling of all store window and interior displays and mannequins. Assistant Manager: Assistant managers are responsible for the supervision of register oversight, store aesthetics, loss-prevention, product launches, store associate training, and on-duty lead-of-service training. They ensure company practices and processes are followed in the areas of facility management, loss prevention auditing, safety training, and administrative tasks. Store Manager: They provide direction and leadership for the entire store team. Store managers oversee every aspect of the store’s performance including sales management, personnel and operational functions, and store aesthetics. They initiate the long-term strategies presented by the management and ensure store productivity, profitability, and compliance and operational excellence in accordance with company requirements. Video Content Distributor: The Video Content Distributor is based in the corporate headquarters and is responsible for monitoring and uploading content for the display screens present in Forever 21 and Riley Rose retail outlets. They ensure measures of quality are followed and excellent customer service is present in these digital signages. They coordinate with the video and production teams, creative departments, IT teams, Procurement, and store operations team in the accomplishment of his or her duties. The application procedure depends on the position the applicant is interested in. For in-store positions, online and in-store applications are welcome. However, information on the positions available in Forever 21 is only available in their website’s careers page. On the other hand, for office positions, only applications sent online are welcome. Applications can take for as long as two weeks. The interview depends on the availability of positions. Group interviews would be done if they’re looking to fill multiple positions. Interview questions mostly revolve around whether the applicant is respectful and have the ability to stand out. 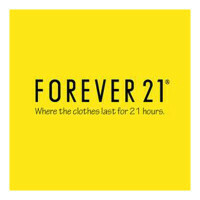 Forever 21 look for at least a year of experience of retail sales experience for their in-store positions. They place an importance in good communication and interpersonal skills. Lastly, they require knowledge of operating POS register systems for sales transactions. Most applicants have a good experience in their interviews. The main thing to remember when applying for Forever 21 is to show that you have a sense of professionalism and customer service while exuding a good sense of fashion. The culture of the company varies from store to store. There are positive reports that their in-store team consist of professional and up-beat individuals. There are also bad ones wherein the leadership is below average which leads to the whole store operations team having a less than supportive culture for personal success. Employees report that their wages are barely above minimum wage standards. Benefits for the store discount of ten percent have mixed reception on their employees. Moreover, they perceive their employer that cares more about their profits than the people who work for them. Forever 21 have been involved in cases regarding employee relations and safety. Some reports that they have received less than minimum wage for part of their shifts. They have been involved with cases pushed in the Labor Department and have failed in providing the necessary documents required from them. 1 How old do you have to be to work at Forever 21?